Serial digital entrepreneur and futurist Michael Fertik,&nbsp;Founder, executive chairman, and CEO of Reputation.com in Redwood City interviews with&nbsp;is interviewed by David Cogan founder of Eliances and host of the Eliances Heroes&nbsp;show broadcast on am and fm network channels, internet radio, and online syndication. Sean Higgins CoFounder Herjavec Group, Author NYT BestSelling "Living Your Purposeful Life"
Kenny Weiss Famous Coach Author "Your Journey to Success"
Learn the secrets as we interview top CEOs, Inventors, Celebs, and more. Finding opportunities: "Every instance creates a chance to learn. Be willing to work." 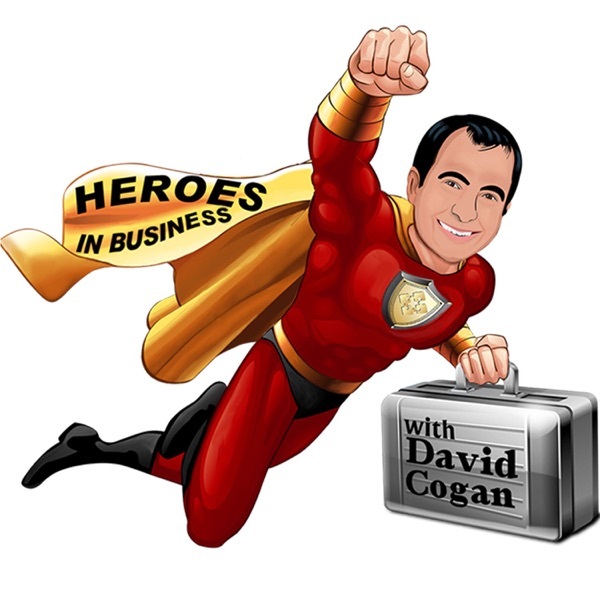 Steve Jones CEO of Allied Universal is interviewed by David Cogan founder of Eliances and host of the Eliances Heroes show amfm, and syndicated online. On Ambitiion: "My father was an entrepreneur, he left pretty big footprints." Seth Buechley former President of SOLiD USA and author of the book "Ambition" is interviewed by David Cogan founder of Eliances "The Place Where Entrepreneurs Align" and host of the Heroes show amfm and syndicated online. Seth&nbsp;grew up in a commune in the woods which he told David gave him a unique perspective and outlook on his own potential for achievement.